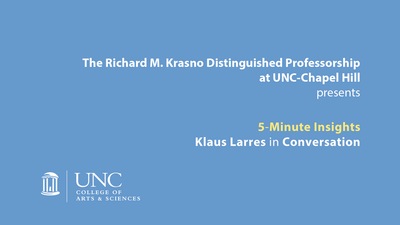 Events - PROF. KLAUS W. LARRES, PH.D. 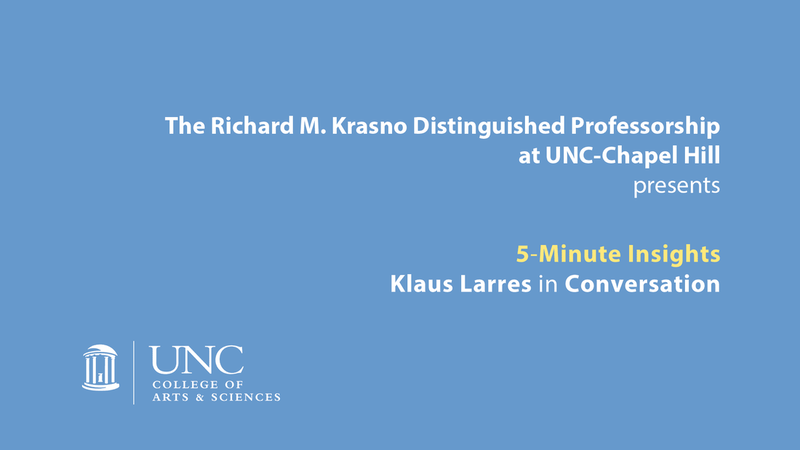 The Krasno Events Series is a series of regular lectures, talks and discussions at UNC-Chapel Hill to enhance our understanding and comprehension of global affairs, past and present. The Krasno Events Series seeks to contribute to achieving this and provide students and the general public with deeper insights into 20th and 21st century global affairs. If you live too far away or are otherwise unable to attend the events, then please make use of our YOU TUBE CHANNEL. 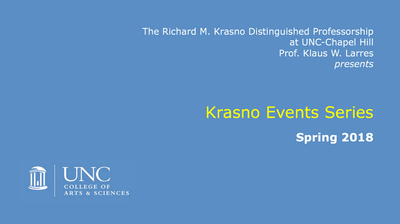 All the events are videotaped and published on our you tube channel.